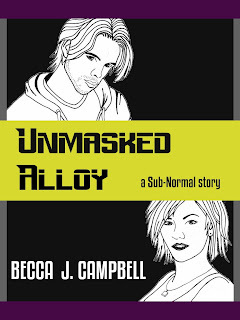 Today, I am interviewing Becca Campbell, author of "Foreign Identity," "Not the Norm," and "Unmasked Alloy." I write because I believe that good fiction inspires, expands the imagination, and enriches lives. I write because I want to touch others. I write because I believe that good books can change the world. I put all the kids to bed (I have three of them), grab a snack (usually something sweet and a beverage), and enter my cave (which is really just a corner of my bedroom with my desk). For writing, I typically prefer silence unless I’m in the hard-core zone of NaNoWriMo or JuNoWriMo and then I’ll put on my Pandora Writing Music station which consists of mostly Apocalyptica and the Vitamin String Quartet. When I remember, I pray before I begin my writing session. It really helps. I write in the evenings after my kids go to bed because I’m a night owl and I’m busy all day long. I also go to Starbucks regularly so I can get a long writing session in once or twice a week. Those bursts of productivity when I’m sequestered from my family really help my progress. I love the initial burst of inspiration, whether it happens spontaneously or in a deliberate brainstorming session. I really enjoy plotting out a novel, that “dating” pre-commitment phase of the author/story relationship that’s thrilling and seductive. I love it when an idea woos me and I can’t let it go. My second favorite part is the first read-through of draft one. I typically let my drafts sit anywhere between six weeks and two years before I go back through them (with no peeking in the meantime!). Of course I find errors, plot holes, and other expected flaws when I revisit the manuscript. But that is the moment when it’s most like reading someone else’s story, because I’ve had enough time away for two things to happen. First, I’ve forgotten enough of the plot or details that it feels new and fresh, and second, I can actually see the beauty in what I’ve written and truly appreciate my own creation. 5. What is/are the book(s) that you are promoting? 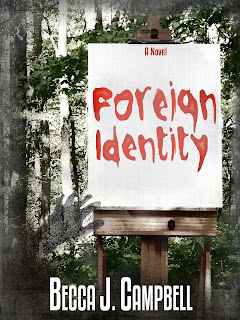 Foreign Identity – A science fiction romance about two individuals who wake to find themselves trapped in a room with no memories of who they are or why they are there. You can enter the giveaway to win a copy here. 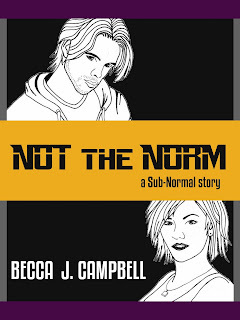 I also have two short stories in the Sub-Normal series: Not the Norm (#1) and Unmasked Alloy (#2). These stories are set in a dystopian reality where genetically enhanced humans populate earth, and the few who have refused superpower-style enhancements and chosen to stay genetically “pure” are labeled sub-normal and exterminated by the government. You can pick up Not the Norm for free on Amazon Feb. 7th – 8th. I’m also running a giveaway of Unmasked Alloy. Go here to enter for a free copy. 6. Who is your favorite character from one of your novel(s)? I don’t know if I should play favorites (you know how sensitive characters are), but the main character from my most recent manuscript was really enjoyable to write. Her name is Eva Coderre and she has this really annoying tendency of accidentally turning invisible whenever she gets really nervous. Eva has her share of quirks, but the uncontrollable disappearing is by far her biggest flaw, especially considering the ten-year stint she was gone and couldn’t interact with people, but could only watch their lives play out all around her. She has a dark side that few people are aware of, but she’s also a hopeless romantic. She’s had a difficult time letting go of her last boyfriend, case in point: it’s been ten years, and the mystery of why he broke it off is still eating away at her. 7. Any advice for aspiring authors who would like to be published? 1) Write as much as you possibly can. 2) Find other experienced, talented authors to mentor you. 3) Accept critiques and feedback humbly, and use them for the powerful tools they are, to help make your story better. 8. Is there anything that you are working on currently that we can be expecting? The dream world he enters each night is rich and vibrant. Chicago appears the same on the surface, but chaos runs rampant as gravity, physics, and other laws of nature become fluid, changing unexpectedly. There, Wes's parents, brother, and sister are strangers. His girlfriend Emily doesn’t recognize him. Suddenly Wes longs to return, to unlearn the truth about his dual reality. 9. If you stranded on an island and you can only bring 3 books and one CD, what would you bring and why? Books: the Bible for daily strength and encouragement, On Writing by Stephen King for writing motivation and tips, and something classic and slightly romantic to soothe my heart during the lonely moments. I’m not totally decided on the last one, but possibly either Jane Eyre or Magnificent Obsession. Those are both great stories. Music: I’d probably pick something from my writing music station or a Death Cab for Cutie album. 1. McDonalds or Burger King? Neither. I hate burgers. If I have to choose, I guess McDonald’s has better salads. Kindle. I’ve been known to “tap” words while I’m reading a book, expecting the automatic dictionary to pop up. Thriller, but if it has a little romance, too, I’ll be the happiest. It’s a tossup between Ted Dekker and Hugh Howey. I’m a major fan girl of both. Usually sweet, but I like to alternate between the two. Where can we buy your beautiful book(s)? 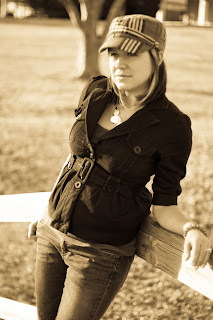 Becca’s journey into writing began as many of her other creative endeavors do – by daring herself to try something new. The question “what if I wrote a novel?” and some hastily scribbled notes on a church handout were the inspirations that jump-started her first book. Since then, she has written half a dozen additional novels and several shorter works. As the wife of a musician and mother of three young boys, Becca’s life is never dull. Whether it is writing, painting or knitting, she enjoys making stuff that wasn’t there before. Be sure to check out Becca's novels!